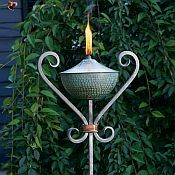 These Spirit Stake Brilliance Torches will add a touch of elegance to your garden, deck, or patio. 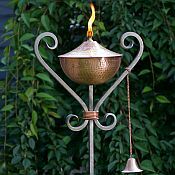 These garden torches are made from durable copper while the stakes are made from wrought iron. 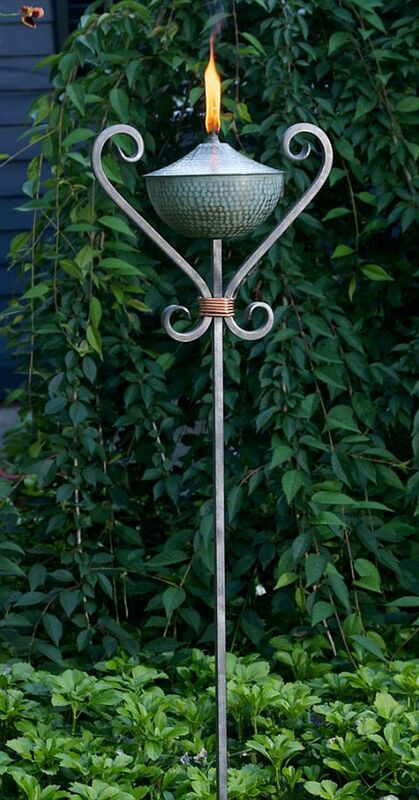 This hand-forged, ornamental wrought iron stake offers an elegant alternative to ordinary garden stakes. Combine the two and you have a work of art for your yard. This large sized torch is 8"W x 72"H, holding 16 ounces of fuel and will burn approximately 24 hours. 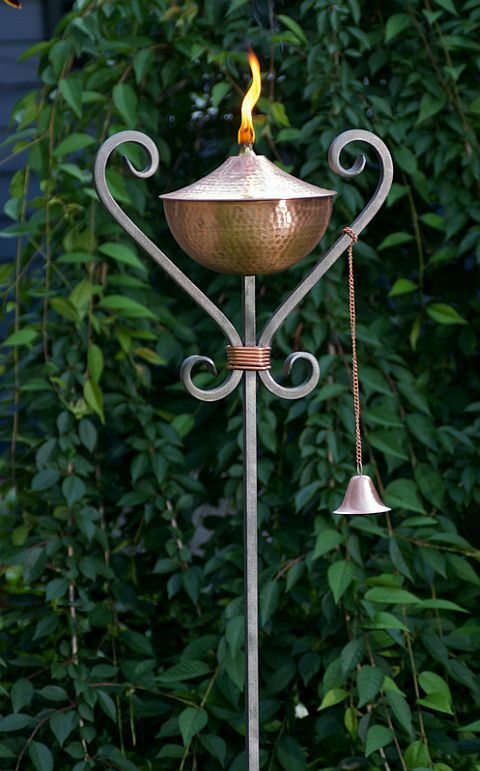 Includes long lasting fiberglass wick and copper snuffer. Available in a polished finish or blue verde finish. Made of durable hand-forged iron, Spirit Stakes™ conveniently come apart for easy shipping, assembly and storage.